I can't believe it's the end of July already! Summer is half over and flying by! But what a summer it's been so far. Overall this month we've had incredibly warm and dry weather here (although we had quite a storm today). I LOVE summer so I'm really enjoying it (although we've been indoors a lot more than I would have liked because it's been so humid). 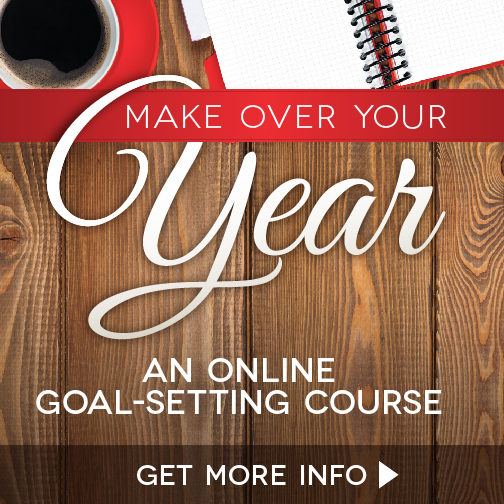 It's been another exciting month for the blog. I'm still learning new things but I have been so excited to get to know so many great people this month. Here's a quick recap of the month. 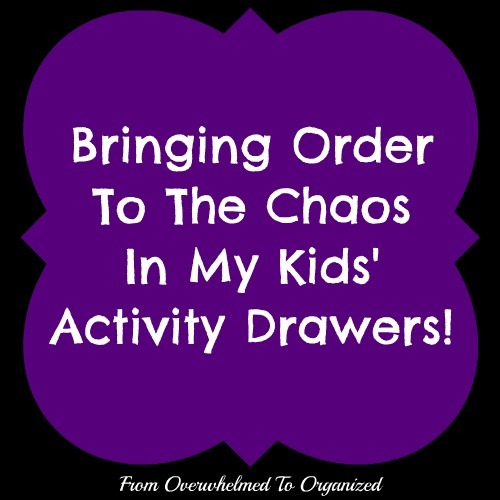 As part of trying to have a balanced summer, one of my goals is to create an area for our craft supplies so my kids can let their creativity flow while they're at home for two months. 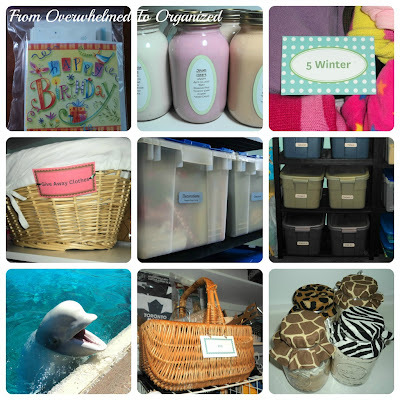 I've seen some BEAUTIFUL craft rooms and wonderfully organized craft supplies on other blogs. 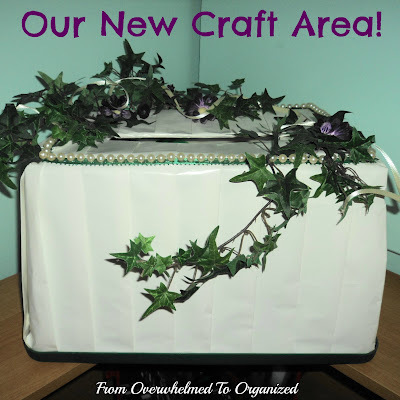 I've never really been a huge crafter and we do not have the space in our house for too many craft supplies, so I'll tell you up front, this post will NOT be one of those dreamy craft room posts. But, I'm pretty excited about what I managed to put together and I think it will work well for our level of craftiness and our limited space. 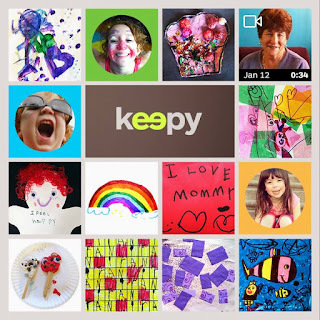 I'm so touched and inspired by all the support my blog has recieved lately! 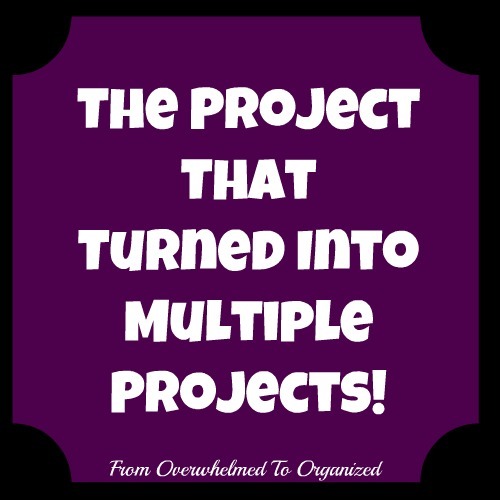 Pageviews are increasing and people are liking the From Overwhelmed To Organized Facebook page. Many people are interacting on the blog and on Facebook too which is so much fun. 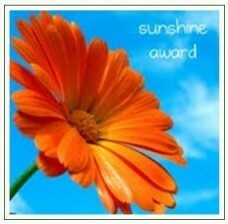 And, on top of all that, I'm so honoured that I recently received another award! This one is called the One Lovely Blog and Very Inspiring Blogger Award and I was awarded it by Myric at Petites Passions. I love all her creative ideas so it's really exciting to be given this award by her. Thank you so much Myric! These are my kids' activity drawers and they are a MESS! It's hard to find anything in them and even harder to put things back. Things are just jammed in there. And look at all the stuff on top that can't even fit inside. Why is it that games have a nasty habit of taking over a home? 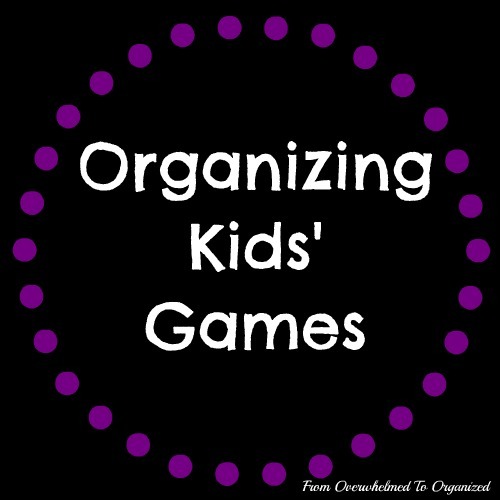 Boxes, cards, play money, dice, characters, spinners, and all those assorted little pieces... Sound familiar? We love to play games in our family. 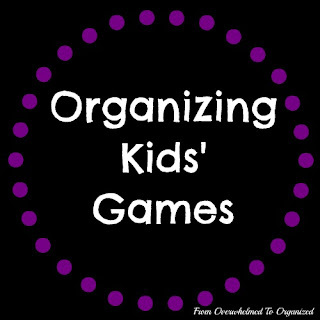 Both my hubby and I grew up in families that enjoyed playing games and we've passed on our love of playing games to our children. But, because of our love for games, we have a LOT of them. People give them to us as gifts, we each had some of our own when we got married, and we've bought some over the yeasr as well. It's great to have lots of selection, but it means storing all of them. 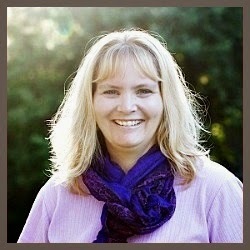 I'm so excited that Karri from My Life's A Treasure awarded me the Liebster Blog Award yesterday! 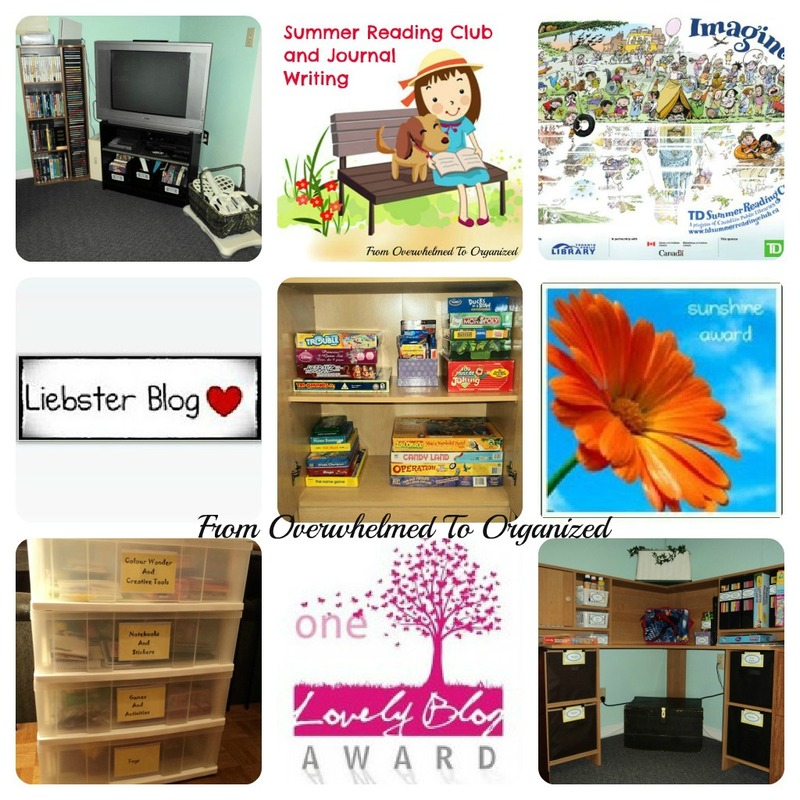 The Liebster Blog Award is given to up and coming bloggers with less than 200 followers. Liebster is German and means sweetest, kindest, nicest, dearest, beloved, lovely, kind, pleasant, valued, cute, endearing and welcome. I'm honoured that Karri thinks of my blog that way! In my previous post, I talked about the reading competition at home between my son and daughter this summer. Today I'm going to tell you about the Summer Reading Club through our public libraries. I love this picture! Each of the images is reflected in the water, but the reflection of the image is an imaginary version (for example a tent becomes a castle). I love the "Imagine" theme for this summer's club too! 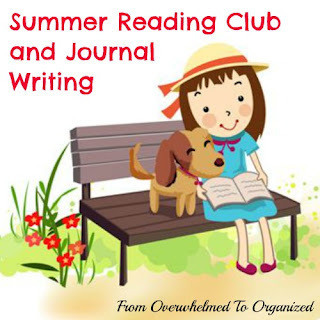 Do you have a hard time getting your kids to keep up their reading and writing skills during the summer? After a whole year of school, sometimes the last thing kids want to do in the summer is anything that reminds them of what they usually do at school. Studies show, however, that these skills can regress if they are not maintained, leading to "summer learning loss" and the need to catch up for the first month back in school. 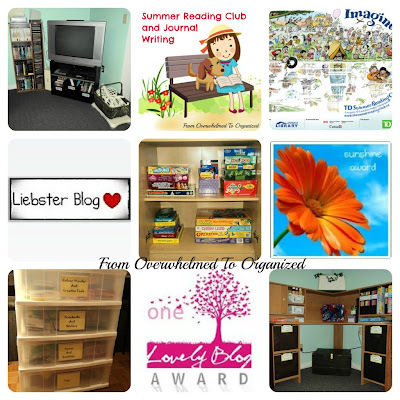 To prevent summer loss, kids should read and write on a daily basis throughout the summer. That doesn't mean that your whole summer has to be a fight with your kids though. Finding ways to incorporate reading and writing into all the fun things you are doing will help them enjoy reading and writing. Ever started a project in one area of your house and it turned into multiple projects in various parts of your home? Our entertainment area in the basement was one of those! Here's what we used to have in the basement. It's been a busy month for this first full month of blogging! 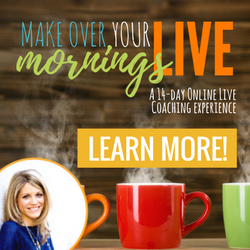 Some of it has been a learning curve for me, but it's been exciting and fun to interact with you both in the comments on the blog and on Facebook. 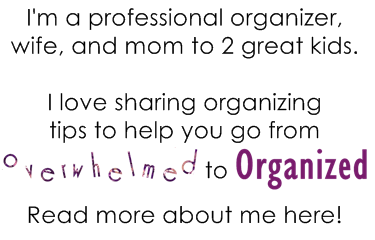 If you haven't followed From Overwhelmed To Organized on Facebook yet, I would love for you to do that. I think it's a great way to get to know each other better. Here's a quick recap of the month in case you missed any posts.